The Passage cast appeared at the 7th annual SCAD aTVfest 2019 in Atlanta. First, the SCADshow theater audience was treated to an all new episode of The Passage. Attendees of SCAD aTVfest screened episode 5 of the series’ inaugural season. The episode will be broadcast on Fox February 11th. Without spoiling any content, I believe it is safe to say that episode 5 titled ‘How You Gonna Outrun The End of the World?’ is a game changer. Back stories are revealed as well as new developments with the virals. Hold on tight! Just as I was reeling over new reveals in the story, The Passage cast appeared on stage for a Q&A moderated by Entertainment Weekly’s Ruth Kinane. The show was very well represented by cast members Emmanuelle Chriqui (Lila Wolgast), Vincent Piazza (Clark Richards), Caroline Chikezie (Dr. Major Nichole Sykes), Henry Ian Cusick (Dr. Jonas Lear), Jamie McShane (Dr. Tim Fanning), Brianne Howey (Shauna Babcock), Saniyya Sidney (Amy Bellafonte) and Mark-Paul Gosselaar (Brad Wolgast). 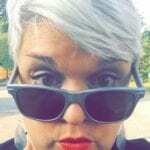 Executive Producer and writer Liz Heldens was also on hand to provide insight and field questions. Here a few peeks into the panel! The panel was asked how they might handle a scenario of apocalyptic proportions like the one on the show. One actor swiftly responded “Call Brad Wolgast!”, not surprising as “The Agent” has already proven to be a quite capable and heroic character. Henry Ian Cusick (who plays conflicted Dr. Jonas Lear) talked about a missile scare in Hawaii. He remarked that there was a full spectrum of responses. Some folks ignored the alert completely while others were talking their children underground. Jamie McShane portrays resident villain, doctor turned viral Tim Fanning. McShane explained that the show has made him think about preparations on a personal level. He shared that his son has diabetes, so there is a real concern about having enough insulin on hand. He pointed out that refrigeration could be another big concern if their was no electricity. It sounds like even though the show is a fictional scenario, it does add generatesome additional awareness about the need for preparedness. 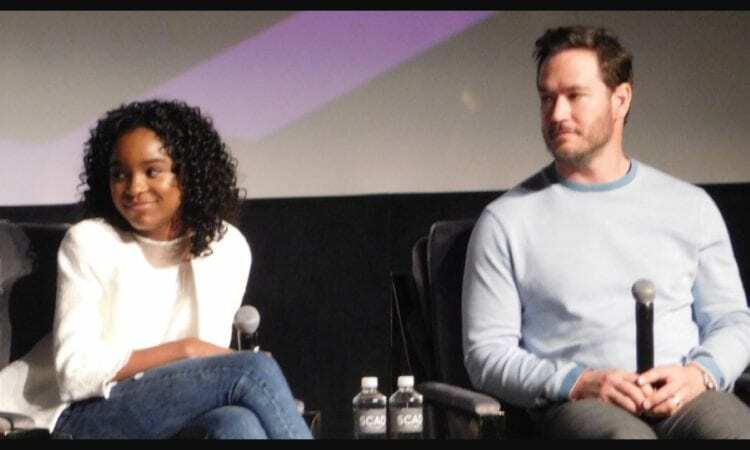 On a lighter note, it was delightful seeing Saniyya Sidney and Mark-Paul Gosselaar share a fun, close-knit rapport on stage. Their characters have a palpable bond on screen orking together almost like a father and daughter to stay safe. So, it’s no big surprise that the actors also get along well in real life. Mark-Paul reminded the audience that they actually shot two different versions of the pilot with a good amount of time in between. On the first shoot, Sanniya had no idea who Gosselaar’s Saved By The Bell character Zack Morris was. Sanniya spent time watching the iconic 90s sitcom in between filming the two different pilots. She then used her newfound knowledge to initiate the famous Zack Morris “timeout” often while shooting the second version of the pilot. The SCAD aTVfest welcomes a large group of television series to the festival each year. The event brings togetherg students, faculty, and fans with a variety of industry experts. This year’s festival provided three days of rich content February 7-9, 2019.